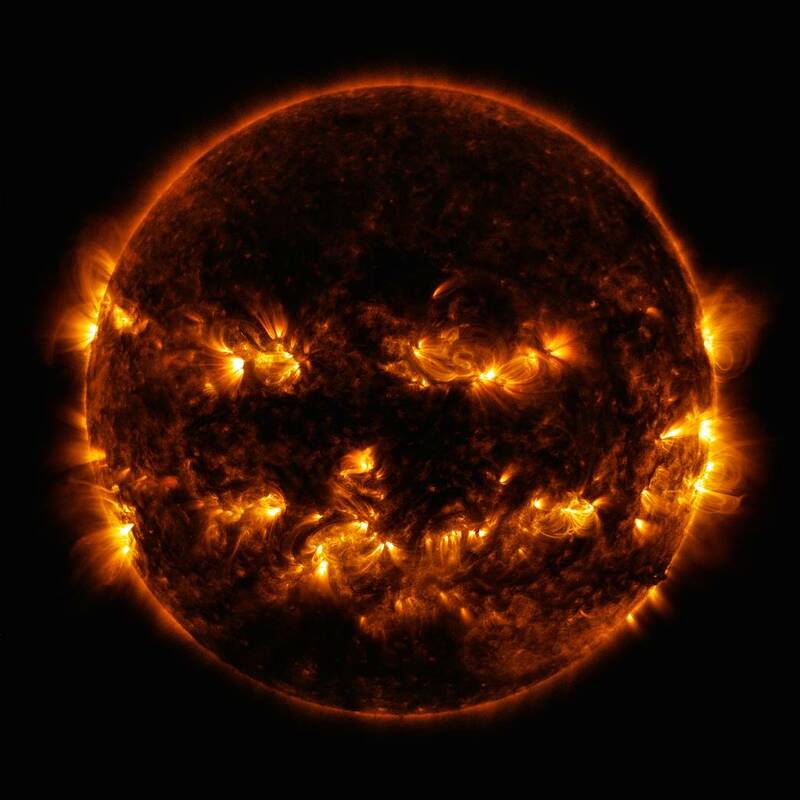 On October 8, 2014, active regions on the sun gave it the appearance of a jack-o’-lantern. This image is a blend of 171 and 193 angstrom light as captured by the Solar Dynamics Observatory. Looks like the jack-o’-lantern has side whiskers as well!